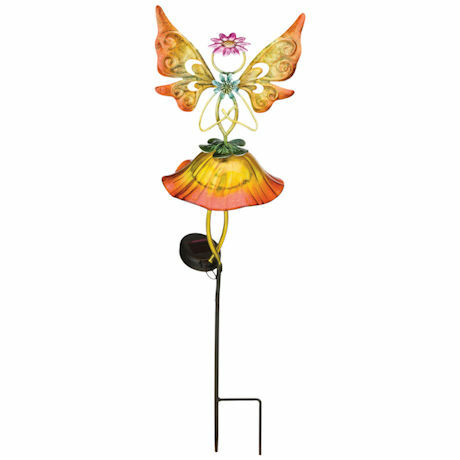 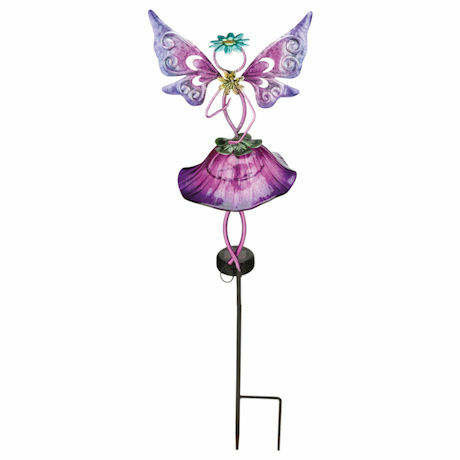 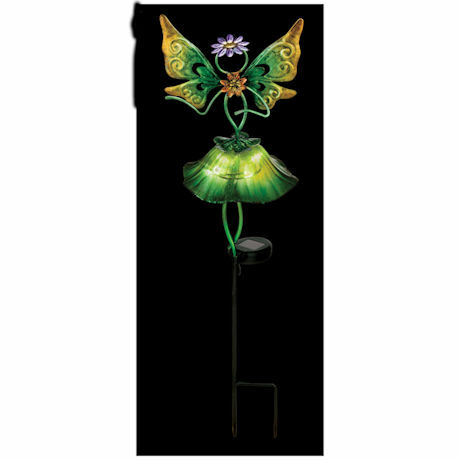 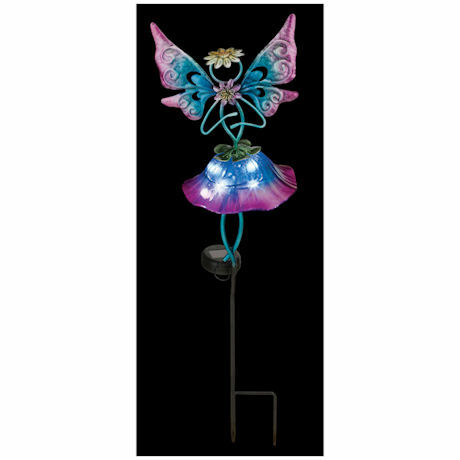 These fanciful fairies made of handpainted durable glass and metal, have tiny embedded lights that glow after dusk thanks to integrated solar panels. 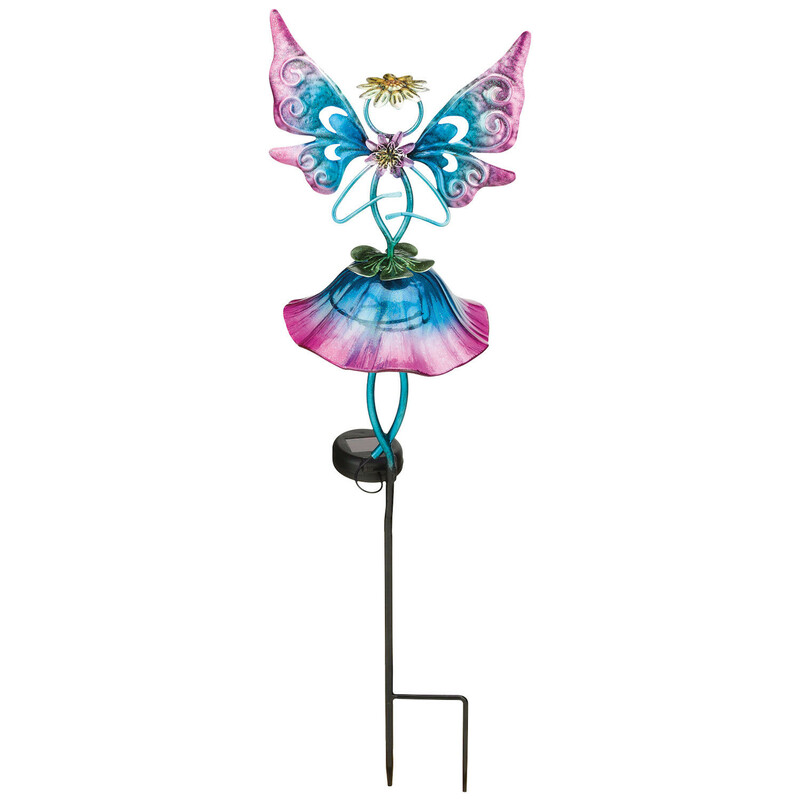 9"-wide fairies on 25" stakes. 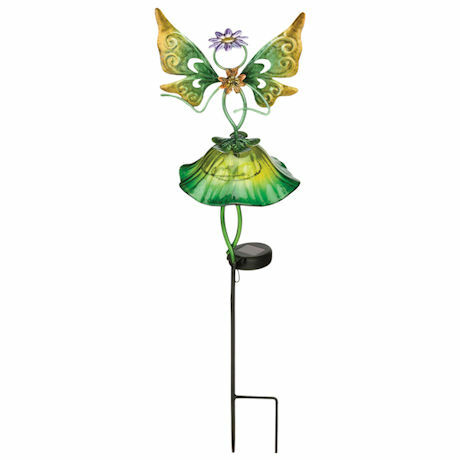 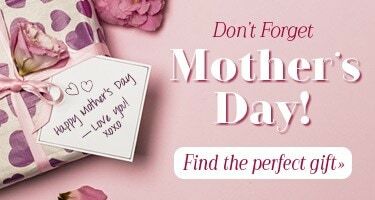 Specify Green, Yellow, Blue or Purple.